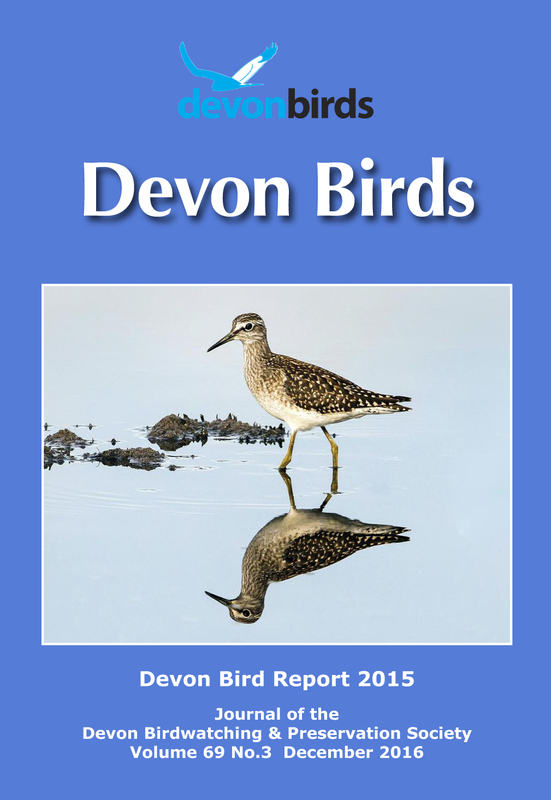 All Devon Bird Reports contain a wealth of interesting information and are beautifully presented. Of course, the critical content is the Systematic List for the year, but that's not all. They all contain Articles, Photographs, Line Drawings and Maps and other information depending on the year. More details are given to the right. Approximately 275 species and 13 sub-species. Approximately 275 species and 13 sub-species. 310 species and sub-species, distilled from 120,000 records. More than 61,000 records were received, covering 278 species. This edition proved so popular we have had to do a reprint. This is now available to purchase. More than 55,000 records were received, covering 277 species. 4 new species (Macaronesian Shearwater, Short-toed Eagle, Purple Gallinule and Trumpeter Finch) were added to the Devon List bringing it to 428 species. More than 61,000 records were received, covering 275 species. 2 new species were accepted by the BBRC, increasing the Devon List to 425 species. More than 59,000 records were received, covering 263 species. 1 new species was accepted by the BBRC, increasing the Devon List to 423 species. More than 59,000 records were received, covering 266 species. 2 new species were accepted by the BBRC, increasing the Devon List to 422 species. More than 58,000 records were received, covering 272 species. 2 new species were accepted by the BBRC, increasing the Devon List to 420 species. This issue was the first in a slightly larger format. About 54,000 records were received, covering 274 species. 1 species new to Devon and Britain and 1 new sub-species were accepted by the BBRC, increasing the Devon List to 416 species. These Reports were the first to be published with additional financial support from outside the Society resulting in a markedly improved product. The Reports for 2001, 2002 and 2003 each won the BTO Best Annual Bird Report Award. During this period the Devon List increased from 409 to 415 species. All issues in this period are available. Very small numbers of all issues from 1963 onwards are available.